Location!5-10 min. 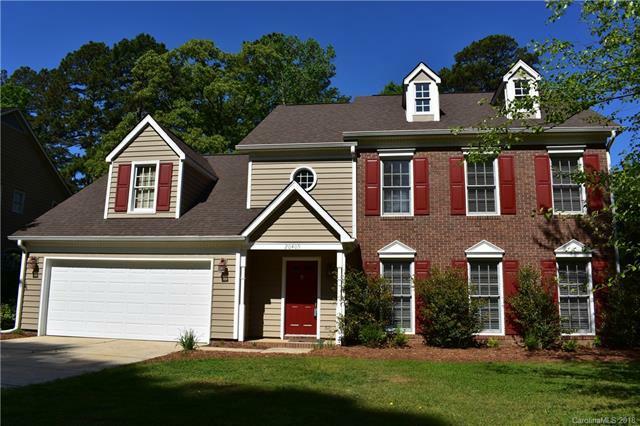 walk/bike on quiet back streets to Cornelius Elem, Library, 2 parks w/splashpad & playground, shopping, dining & OTPH.Private pond-view lot!Huge, open Living Rm & Dining Rm.Bright, open Kitchen w/lots of natural light, granite cntrs w/breakfast bar, loads of cabinets & pantry - SS oven/cooktop, microwave, dishwasher (2014) & refrigerator/freezer (2014).Breakfast overlooks mature trees & community pond.Family Rm open to Kitchen - gas log fireplace could be returned to wood burning.Upstairs - Master Bedrm w/vaulted ceiling & completely updated Master BA(2015)w/raised dual vanity, vessel sinks, new cabinetry, tile floor,tile surround tub/shower. Roof (2012) 30 yr Architectural Shingles.Exterior vinyl replaced (2011) & has 3/4" mastic insulation, HVAC replaced in 2007, separate units for main floor & upper - serviced regularly. 2nd Attic w/pull down stairs in garage.Gutters(2011)w/fine mesh guard.1 yr. Home Warranty.Sellers will offer carpet allowance w/acceptable offer.